Now there's more "tea party chic"! 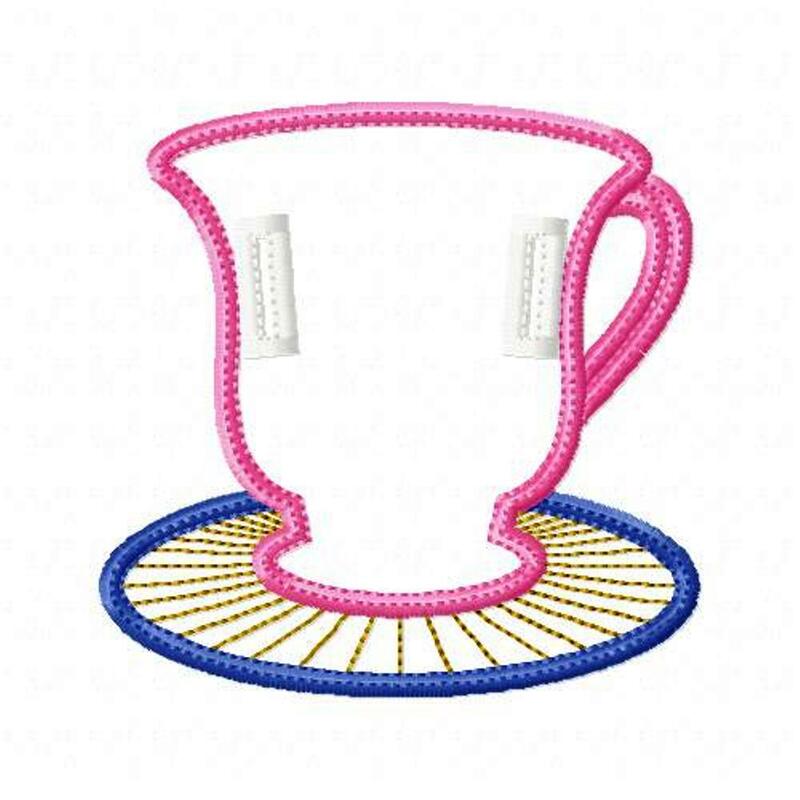 This in-the-hoop project is a fast and cute way to decorate your home for all kinds of parties. Styled to fully coordinate with the Cupcake Banner ITH Project, this design includes a vintage style teacup and saucer and a new cupcake shape. You can add letters or designs from your embroidery machine to personalize if desired! Mix them up together, incorporate different sizes or repeat just one - so many choices with this fun set. The hardest part is choosing your fabrics! This is a fun two-sided banner all done in the hoop with easy to follow step-by-step instructions to guide you. You are hooping stabilizer only, appliqueing your fabric over the top, applying backing fabric behind your hoop, finishing the edges and ribbon holes and cutting away the stabilizer. The banner pieces slide onto ribbon 5/8" wide. 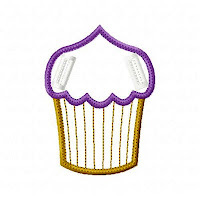 Cupcake in 5 sizes - 4", 5", 6", 7" and 8"PICTURED is the 5" size. Exact sizes:4x4 hoop - 3.91" x 2.88"5x7 hoop - 5" x 3.66", 6" x 4.39 and 7" x 5.11"6x10 hoop - 8" x 5.83"
Teacup and Saucer in 3 sizes - 4", 5" and 6"PICTURED is the 5" size. Exact sizes:4x4 hoop - 3.91" x 3.87"5x7 hoop - 5" x 4.95"6x10 hoop - 6" x 5.95"
To view more of my In-The-Hoop Banners, CLICK HERE.